‘Twilight of the Idols’, an attack on all the prevalent ideas of his time, offers a lightning tour of his whole philosophy. It also prepares the way for ‘The Anti-Christ’, a final assault on institutional Christianity. Both works show Nietzsche lashing out at self-deception, astounded at how often morality is based on vengefulness and resentment. 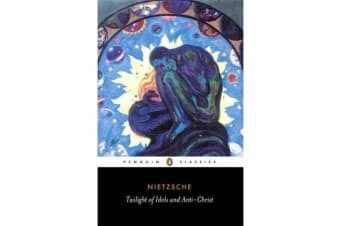 Both reveal a profound understanding of human mean-spiritedness which still cannot destroy the underlying optimism of Nietzsche, the supreme affirmer among the great philosophers.